Quick-shipping, 4imprint Exclusive tumblers that arrive fast and simple - 24HR! Take your coffee or tea to-go while you promote your brand. 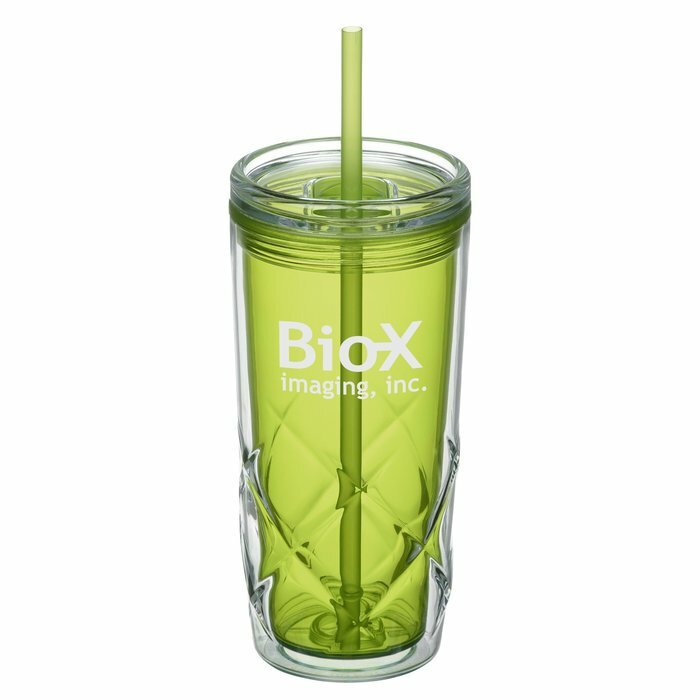 This acrylic, double-walled tumbler is perfect for holding both hot and cold drinks. Dual-walled construction prevents condensation from forming on the outside of the tumbler. Equipped with a clear, screw-on lid and a translucent-colored, thumb-slide opening. Tumblers are designed with a textured bottom half for improved grip. Includes a matching, polypropylene straw for easier drinking. Your price includes a one color imprint wrap on the tumbler.